As leaders, we aspire to get the most out of our leaders, and we challenge them to get the most out of the team they lead. Urban Meyer, Ohio State championship football coach, and author of Above the Line is often called upon to speak to corporate groups and business leaders, on how he gets the most out of his team. Meyer’s concepts on leadership fundamentally agree with Positioning Systems and Gazelles’ Scaling Up Principles. To Build an Elite Team Requires A Players. Here’s Meyers approach. Meyer believes the 10-80-10 Principle is the best strategy for getting the most out of your team. Imagine your organization as a big circle. At the center is the nucleus, the top 10 percenters. These are your people who give all they’ve got all the time. They are the essence of self-discipline, self-respect, and the relentless pursuit of improvement. These individuals are considered your elite—the most powerful component of any organization. You love leading and coaching them! Your leadership challenge is to move as many of the 80 percenters into the nucleus as you can. 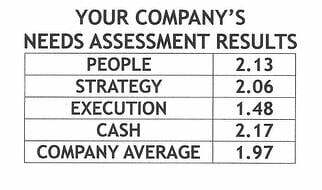 Expand the top 10 percent into 15 percent or 20 percent, and you’ll see measurable increase in the performance of your team. Above the Line is about Ohio State’s NCAA Football 2014 Championship Season. How important is it to increase your nucleus? Meyer offers, “By the end of the 2014 season, our nucleus group was close to 30 percent.” It’s how championships are won. 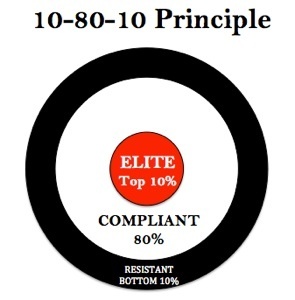 Meyer firmly believes how well you perform depends on the work you do with the 80 percenters. Meyer devotes more time to them by far than to either of the 10 percenters. Bottom 10% only have one gear, and they won’t want to find another! 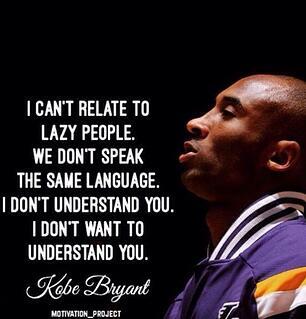 I’m not a Kobe Bryant fan, but Meyer quotes Bryant to illustrate his point about these bottom 10 percenters. To get your 10 percenters to influence your 80% you have to convince them to get out of their habits. Most of us enjoy spending time with like-minded people. Think of yourself. You probably associate with people who think, act, and believe much like you do. It’s one of the reasons I recommend each of my CEO’s and presidents to spend time with their people. Never underestimate the influence and inspiration a leader provides to the people in an organization. Recognition, praise, or comment stir a far more favorable impression from them, than anyone else in your business can stimulate. The top 10 percent: disciplined, driven, self-motivated, want to be great, and work relentlessly. The 80 percent: the majority—those who do a good job and are relatively reliable. The bottom 10 percent: disinterested and defiant. The key to success is moving as many of the 80 percenters into the top 10 percent as you can. Time is a limited resource. Stop wasting it trying to motivate the bottom 10 percent. Mastery and belief: remind them of the quality of leadership; let them know they are being taught by masters of their craft. Harness the power of the elite: everybody wants to be around the top 10 percenters. Use them to motivate the 80 percenters. Ownership: the more sense of ownership you can instill in your people, the more motivated they will be to push into the top 10 percent. As the leader of your organization you’re probably continuously aware of it’s potential, and particularly your people’s upside talents. It often keeps you up at night, wondering, why your organization is not achieving more. 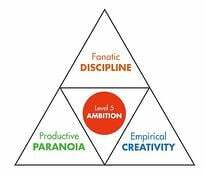 In Great By Choice, Jim Collins calls this behavior Productive Paranoia. It’s part of three core behaviors of 10x Leaders. 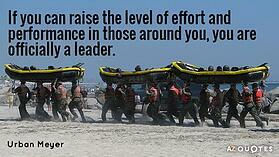 We’ll explore this leadership burdenin our next blog.